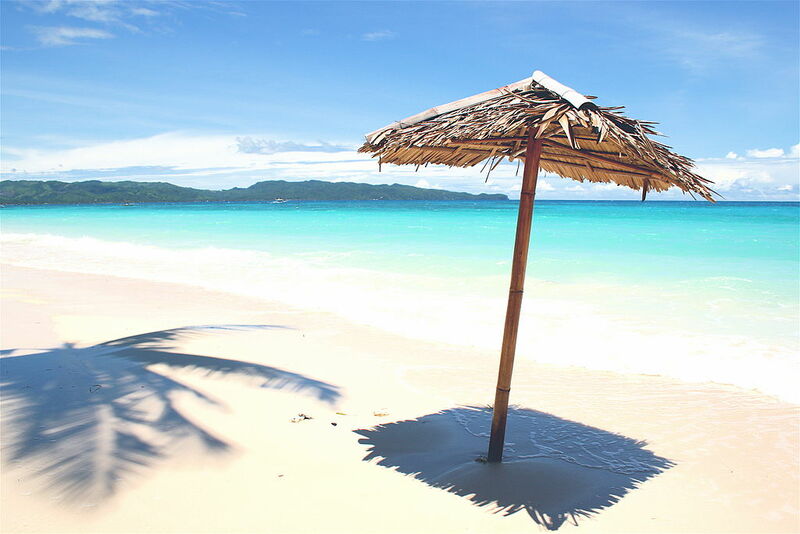 Aklan’s claim to fame is without a doubt Boracay. Famed for its fine white sand beaches and crystal clear waters, Boracy is definitely the top tourist draw for the province of Aklan. However, that is not the only attraction that Aklan has to offer. In fact, when it comes to the best in what nature has to offer, Aklan has got you covered. Boracay. 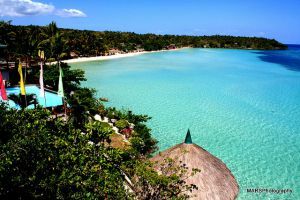 Of course, this wouldn’t be a top destinations in Aklan post without mentioning this famous island resort. Over the past years, Boracay has transformed itself from this quiet getaway with a lovely beach into a bustling and very commercialized place. Dotted throughout its sands are numerous restaurants and shops that will surely suit the many different tastes of visitors. Jawili Falls. 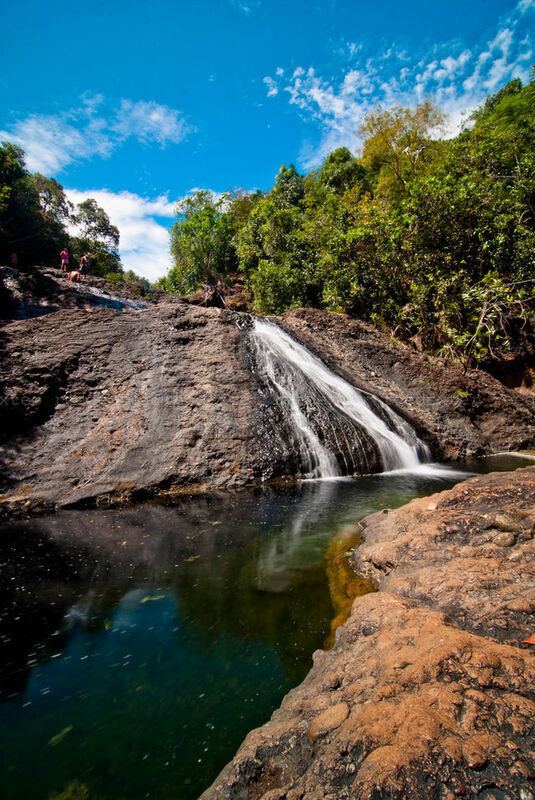 Located in Tangalan, Aklan, this seven-basin waterfall is a sight to behold. Tangalan itself is so tranquil and gives off a sense of timelessness. The municipality of Tangalan can be reached via jeepney, and from there you get on a tricycle to take you to the falls. Hurom-hurom Spring. Dip into this really cool spring located in Nabas, Boracay’s neighbor. This is just one of the many cold springs located in Nabas, but it is its pride and joy. Here, you will find many pools of varying depths. Submerge yourself – or just your ankles for that matter – in water that steams directly from a mountain spring. Caves at Buruanga. Those who love off the beaten path type of travels will enjoy what Buruanga has to offer. If spelunking is your thing, there are several caves to choose from, including Ignito Cave and Sabang Cave. Rafting at Libacao. When you’re brave enough to challenge powerful waters and rapids, you will enjoy rafting at the Libacao River. Take note, you will be bamboo rafting and not your typical inflatable raft. Of course, you can also choose to kayak or do other water-based sports. Aklan has two airports: the Godofredo P. Ramos Airport in Caticlan and the Kalibo International Airport. Both airports receive flights from Manila and Cebu and the one in Kalibo caters to international flights. Manila is 45 minutes away from Aklan. The best way to reach Aklan by land is to travel from Iloilo City. Board a bus or van from the Tagbak Terminal in Jaro District. The trip will take around two to three hours of travel. Alternatively, this can also be done through San Jose, Antique (three to five hours) or Roxas City, Capiz (one and a half hours). There is no major port or wharf in Aklan, but the four ports that is has are very accessible. Shipping lines such as MBRS, Moreta Shipping Lines and Negros Navigation bring passengers to Aklan from Manila, Capiz and Romblon. Travel time from Manila to Aklan will take around 14 to 18 hours of travel. 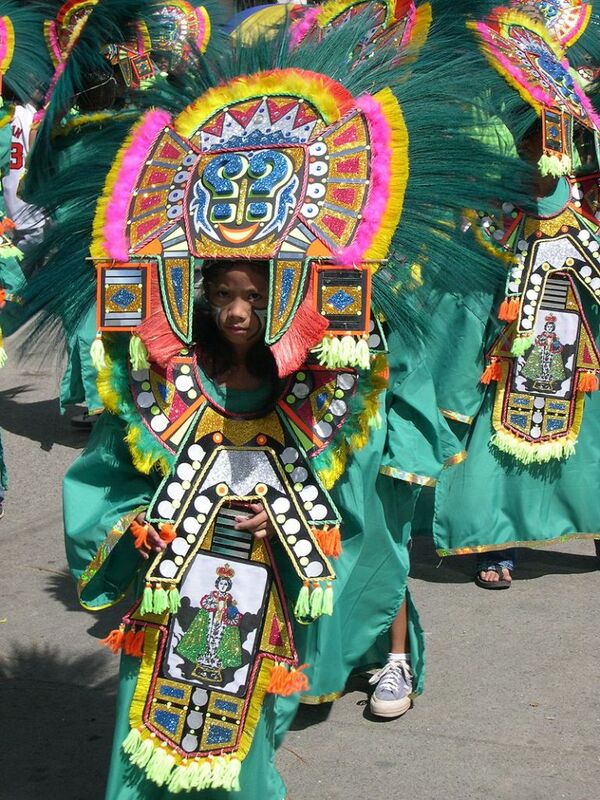 Visit Aklan during the Ati-Atihan Festival. This event will be held in Kalibo and it takes place every third week of January. Yes, it happens to coincide with the Sinulog Festival in Cebu. Head to Boracay during the off season. 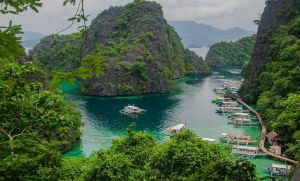 The summer months in the Philippines start around March until May. These are the times when kids are out of school and therefore have all the time to frolic in the beach and party. If you want to avoid large crowds, visit during the off season. Sure, the experience will be a whole lot different, but it gives you a different perspective of Boracay. See a different side of Boracay with an ATV. There’s much more to Boracay than just the beach. You can see different scenic spots and take wonderful photos through this experience. Visit cultural attractions. The Museo it Akean or the Sampaguita Gardens are just a few of the indoor attractions you can enjoy in Aklan. You can also visit the Santo Nino Cathedral for a look into one of the preserved churches of old. Go on a gastronomic adventure in Boracay. You will be spoilt for choice with the array of dining options featuring different cuisines. When you’re looking for nature-related activities or want to head to the beach, Aklan is a great destination of choice.